Choosing the best web hosting plan is important when planning your website. You can host your website through various hosting options, but the two I’d like to discuss are shared hosting and dedicated VPS. Is a hosting account where you share a common server with many websites, sometimes thousands. It is the most commonly used hosting plan and often at a much lower-cost than other hosting packages. Of course, you can’t customize the hardware but you can get a variety of packages with different bandwidth and storage. Since you’re sharing the hardware, you can spend the extra money you’re saving to upgrade your storage space or bandwidth. All kinds of software, including virtualized software can be installed easily. Website performance may be effected by other websites hosted on the shared server. To put all of this into perspective. Shared hosting space is like renting a room or sharing a house with your college frat friends. 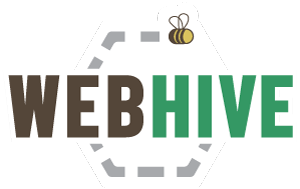 At WebHive, we take care to ensure server loads are well managed and will never put more than 100 sites on one physical server. Also, only legitimate sites with up to date software are housed on our servers. is a software defined container that sits inside a physical server. This hosting plan enables you to customize everything to your own taste. Many companies give you full firewall control, root access and the ability to install any server tools your webmaster might need. This is great for E-commerce websites, companies with large applications, websites that generate a lot of traffic and users who need better data security. In a nutshell a Dedicated VPS is like owning your very own condo unit. You own the rights and have the freedom to customize your space to fit your lifestyle. For the majority of websites, a shared hosting account is sufficient. However, if you have a high traffic website or are hosting an E-Commerce store, it is highly recommended to opt for a VPS hosting account. WebHive offers both shared and dedicated VPS hosting plans that are uniquely tailored to suit your needs. To learn more about our hosting packages, click here.